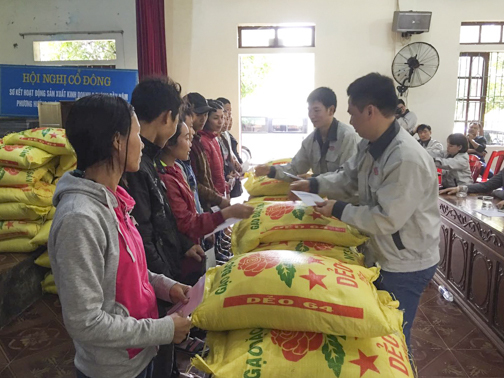 In response to the recent flood in Central Vietnam, employees from Vietnam Precision Industrial No.1 (VPIC1) had devoted themselves and collaborated with local charities for a disaster relief fund-raising event. 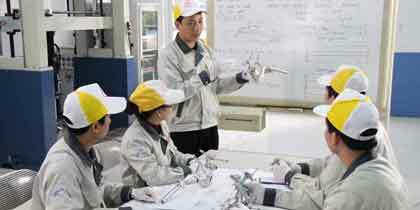 The company and its staffs had expressed great enthusiasm that they were able to activate their social responsibilities and raised a total of VND $ 160millions. In early November, Central Vietnam was struck by a destructive storm which swept across both residential area and farmlands. This has caused serious disasters and many casualties. Nearly 3 million houses were soaked in water. The storm also flooded a large number of crops, and thousands of livestock and poultry were washed away. The main thoroughfares were interrupted by the flood and the loss of personnel and property was considerable. 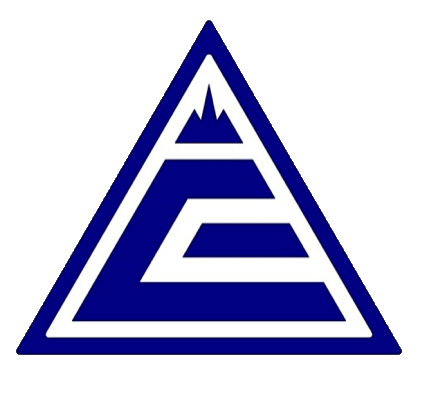 Many charities and volunteers had immediately rushed to the area with the aid of the victims. 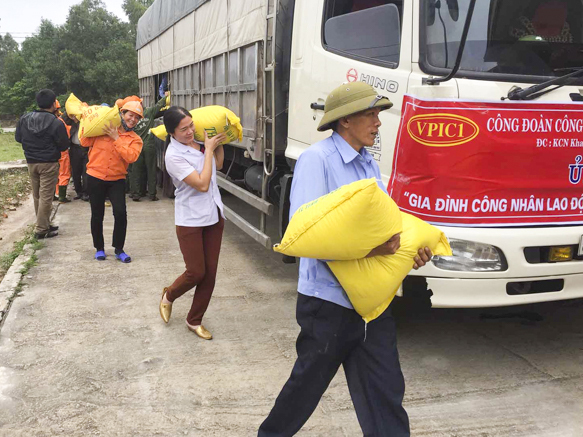 From VPIC1’s trade union, a total of 12 representatives, accompanied by trucks carrying 8,350 kg of rice, also arrived at the central province of Hejing. 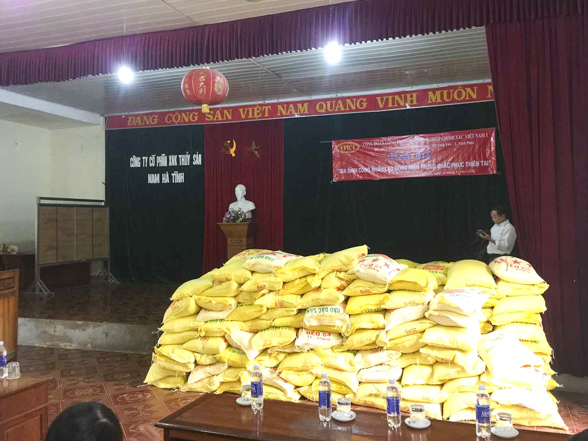 The supplies had benefited 334 families, each household was given 25 kg of rice and cash VND $200,000.